Get on trend this season with this gents digital watch. Comprising of a round grey case, grey dial and grey strap. 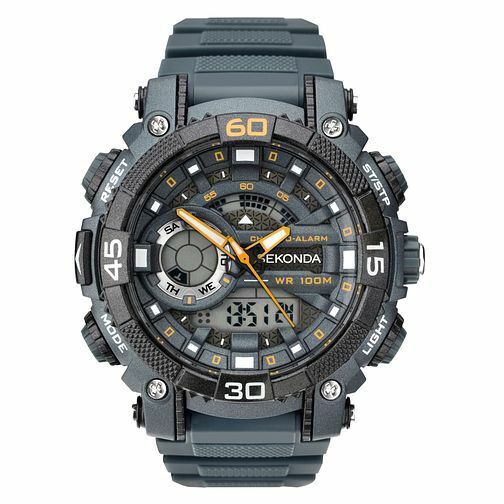 Digital features include 1/100th of a second chronograph timing, alarm, calendar, EL back light and Chime. This watch is recommended to those who love the outdoors and timeless style.